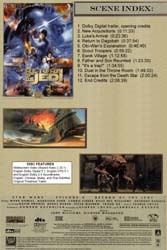 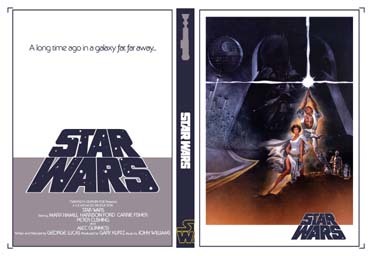 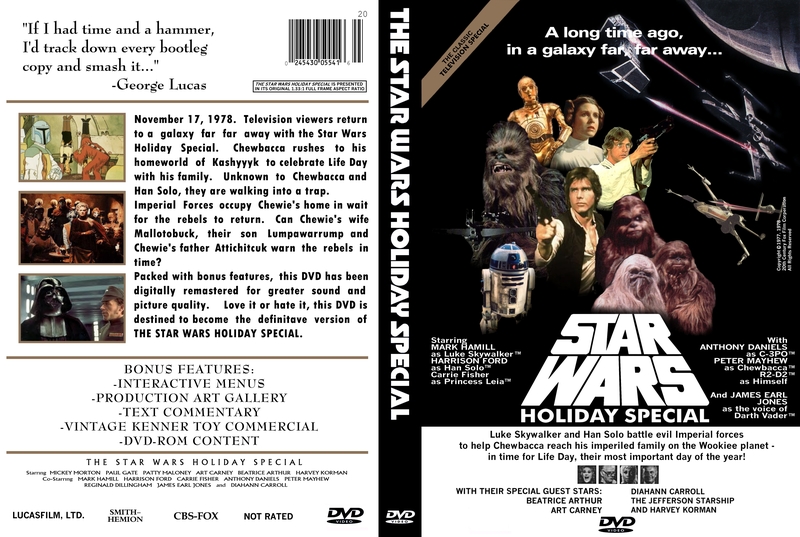 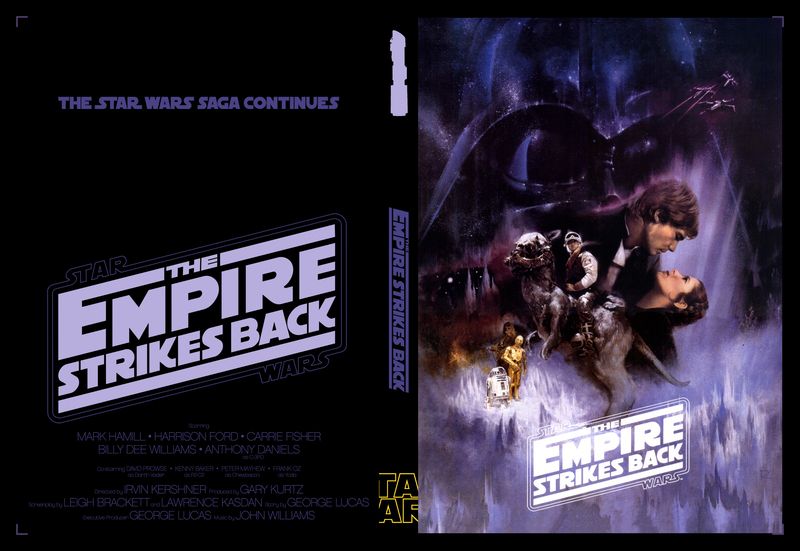 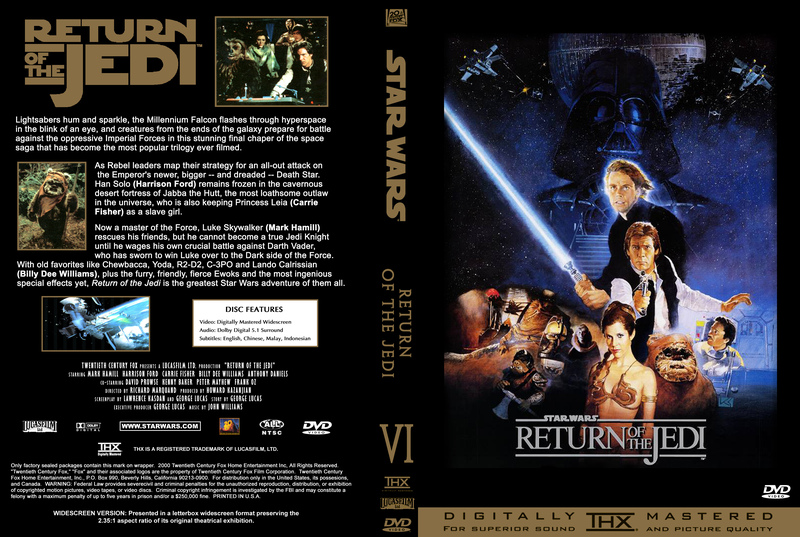 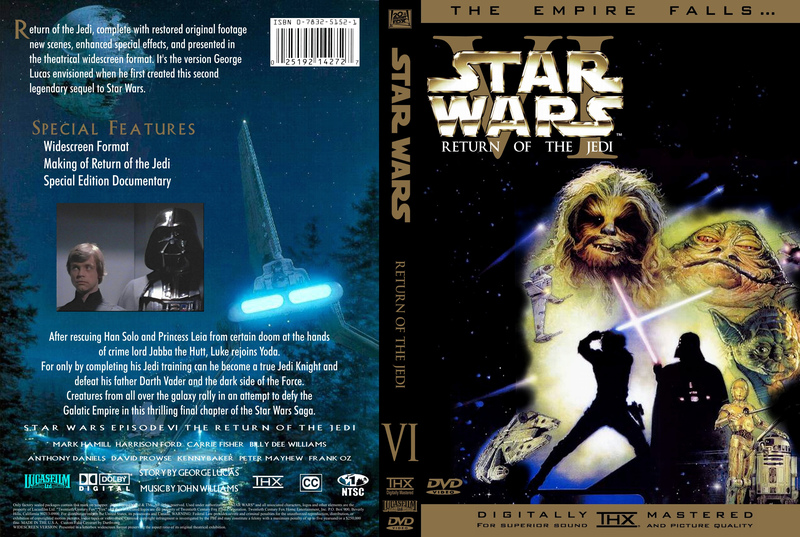 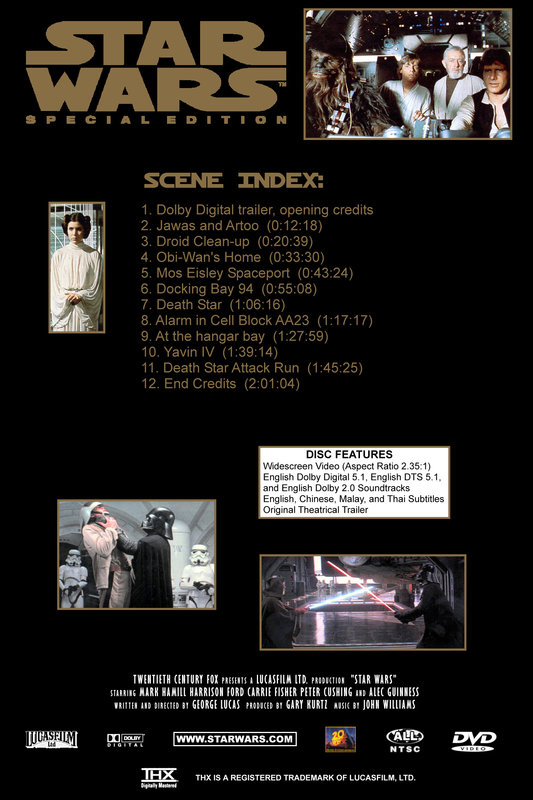 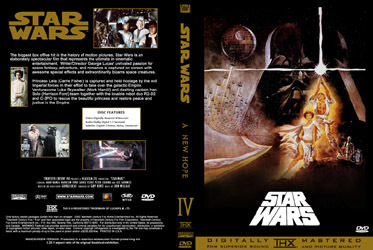 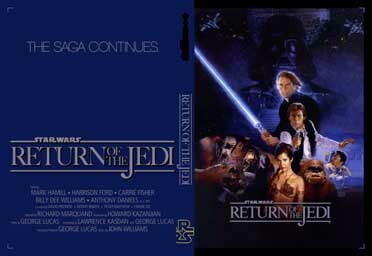 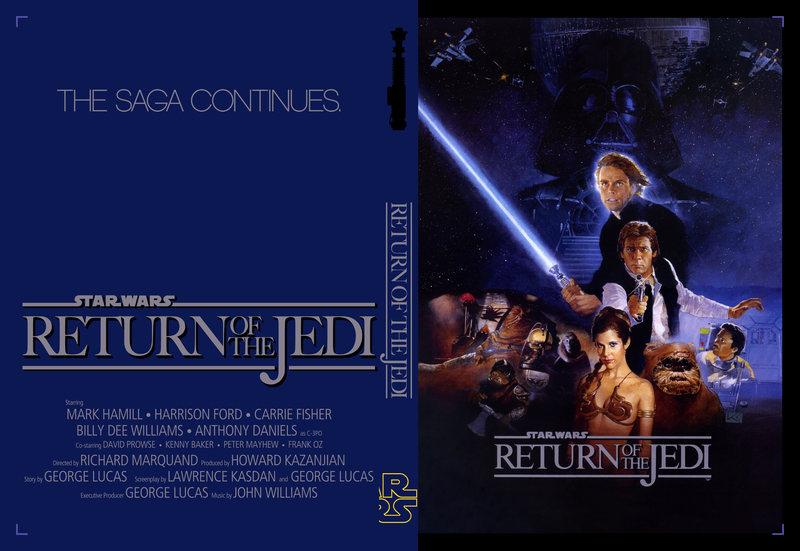 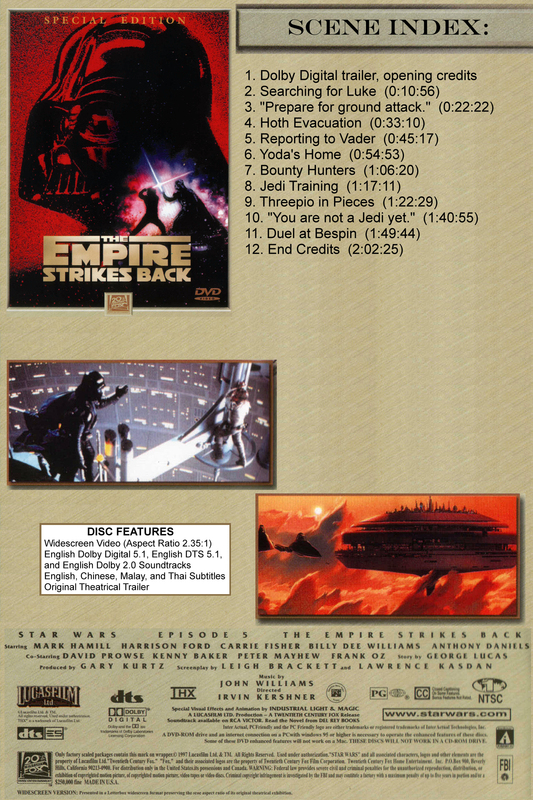 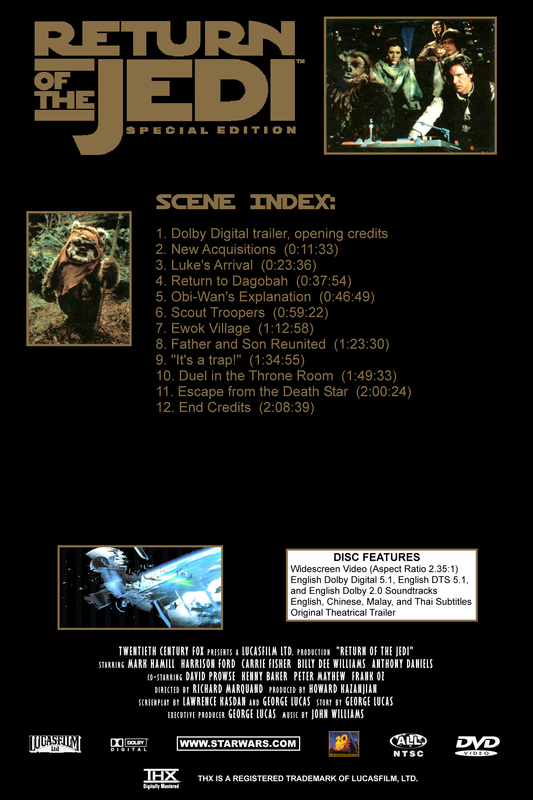 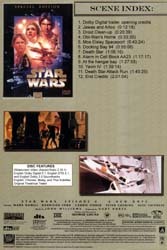 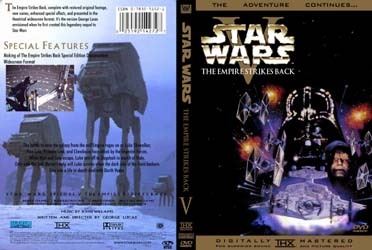 See below for an assortment of Star Wars DVD covers. 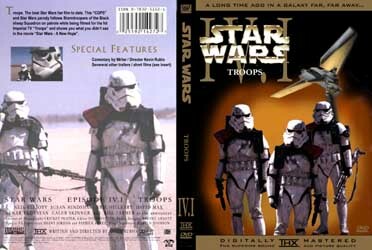 To use these covers, print them out in landscape mode on legal size paper from a program like Photoshop. 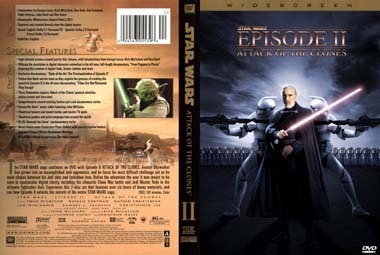 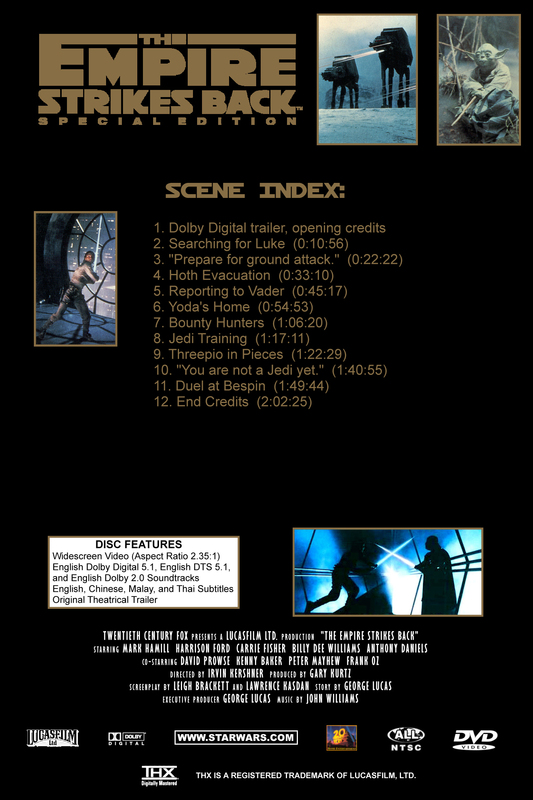 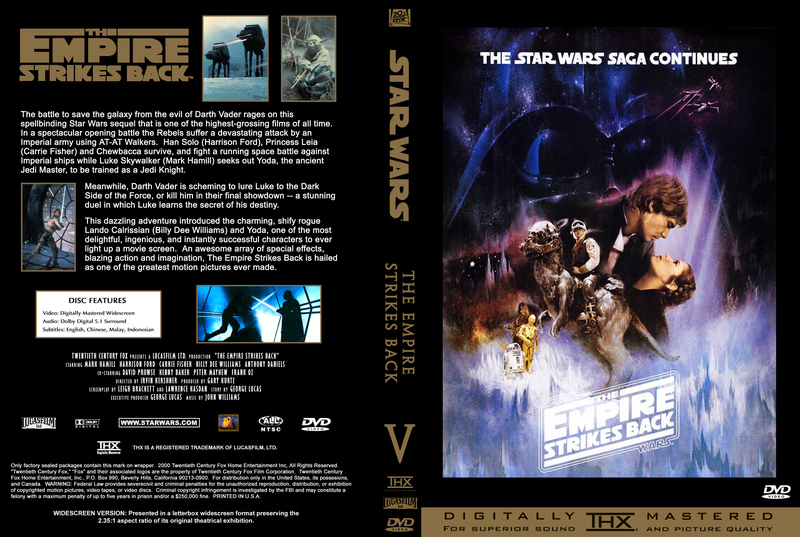 The covers for Phantom Menace and Attack of the Clones are mirrored from DVD Cover Art and are also available there. 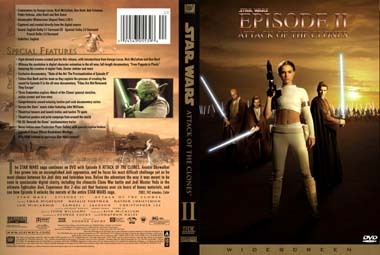 Update, November 4, 2004: With the level of interest in DVD covers that has developed this year (which I've attributed to the official DVD release, a small but strong bootleg market surrounding the original theatrical cuts of the movies, and the approaching arrival of Episode III in May 2005), this page has developed into a nearly lethal consumer of bandwidth for me. 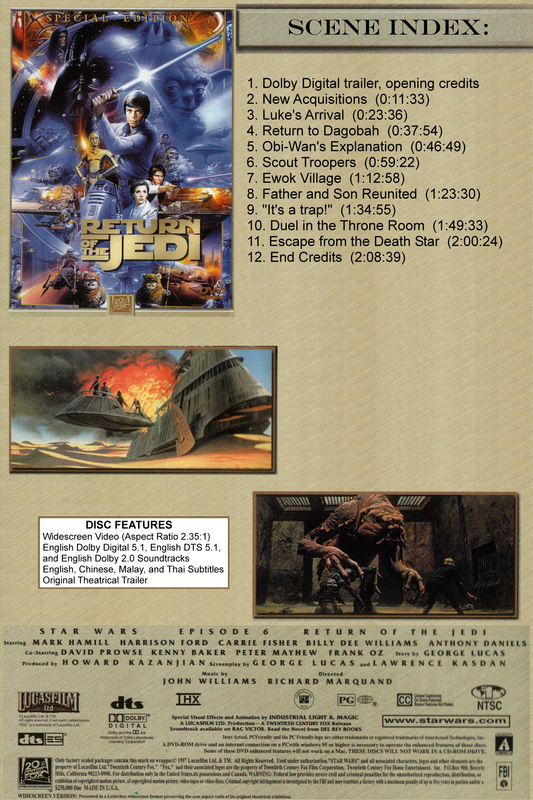 Nearly every month this early spring of this year, I've had to take the page down for at least a week or so to prevent extra changes from my host. 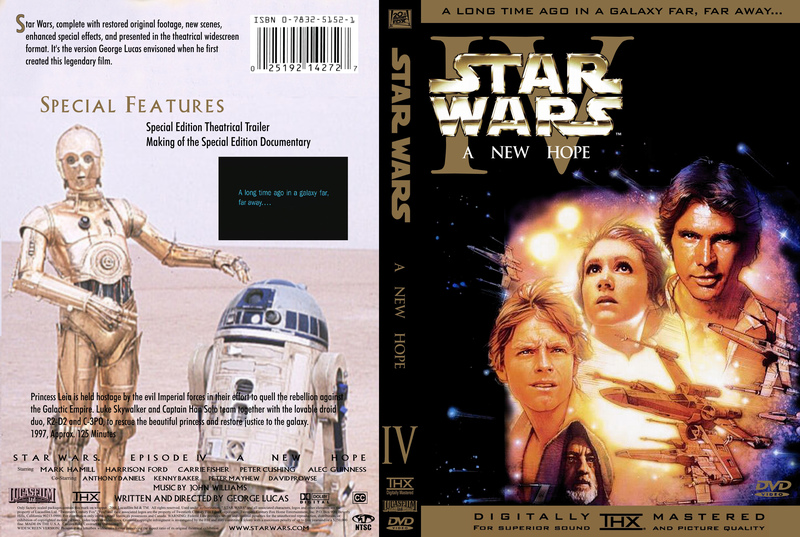 A change in bandwidth limit by my hosting service has granted me some additional working space, so I've re-vamped the page with a limited assortment of covers, which I hope to be able to have available on a pretty permanent basis. Additionally, I have come across a couple other sites offering some covers. 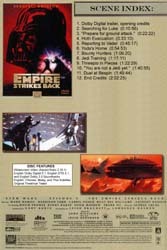 The first one is The Star Wars Empire, which offers a small assortment of covers (none of which have appeared on my page). 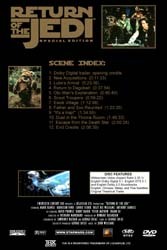 The second site is an album of covers available here, which appears to include all of the movie covers I've hosted here.